Vienna (/viːˈɛnə/; German: Wien [viːn], Austro-Bavarian: Wean) is the capital and largest city of Austria, and one of the nine states of Austria. Vienna is Austria’s primary city, with a population of about 1.757 million (2.4 million within the metropolitan area, more than 20% of Austria’s population), and its cultural, economic, and political centre. It is the 7th-largest city by population within city limits in the European Union. Until the beginning of the 20th century it was the largest German-speaking city in the world, and before the splitting of the Austro-Hungarian Empire in World War I the city had 2 million inhabitants. Today it is the second only to Berlin in German speakers. 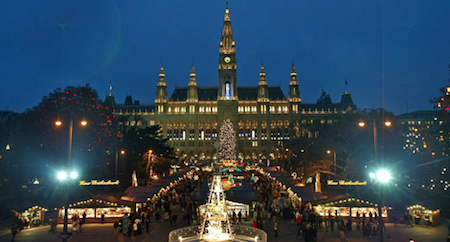 Vienna is host to many major international organizations, including the United Nations and OPEC. The city lies in the east of Austria and is close to the borders of the Czech Republic, Slovakia, and Hungary. These regions work together in a European Centrope border region. 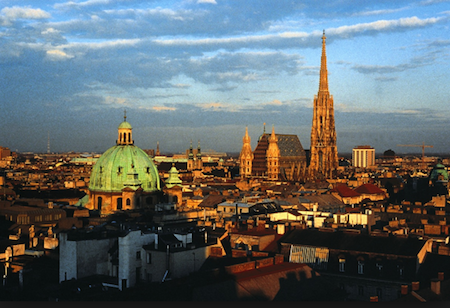 Along with nearby Bratislava, Vienna forms a metropolitan region with 3 million inhabitants. In 2001, the city centre was designated a UNESCO World Heritage Site. The Wiener Stadthalle is a multi-use indoor arena and convention center complex located in the 15th district of Vienna, Austria. Austrian architect Roland Rainer designed the hall which and construction occurred from 1953 to 1958. The arena has an overall seating capacity of approximately 16,152 people in the main hall. The complex houses six venues (each of which can be used separately or combined) and an adjacent swimming pool, two gymnasiums, an indoor ice rink, a small and a large multi-purpose hall and auditorium with a stage. It serves as a venue for a variety of events, including concerts, exhibitions, trade fairs, conferences, lectures, theatre, TV and sport. 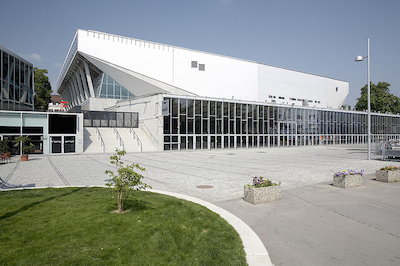 The Wiener Stadthalle is a subsidiary of Wien Holding and stages more than 350 events each year that attract around one million visitors. 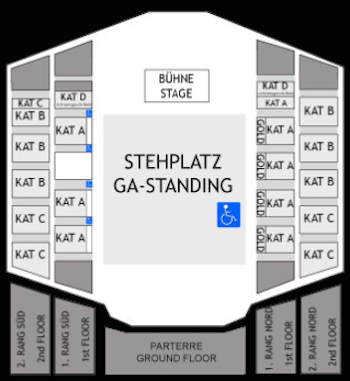 Halls A, B and C, as well as the Stadthallenbad, are managed by the Viennese sports venues corporation GmbH. The Eurovillage will be located in the city’s Rathausplatz from 17th – 23rd May 2015. The Euroclub will be located at the Ottakringer Brewery from 17th – 23rd May 2015. Vienna has a well-developed public transport network. Buses, trains, trams and underground lines will take you almost anywhere in the city in no time at all. Vienna public transport Wiener Linien operates five underground lines, 29 tram and 90 bus lines, of which 24 are night lines. More information here.